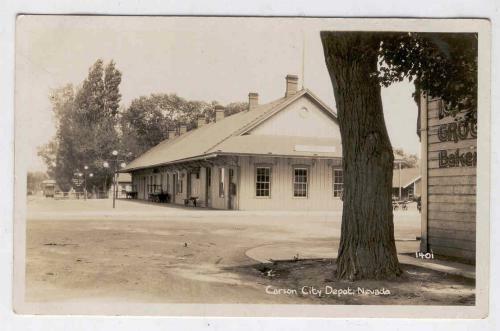 This postcard shows the intersection of Carson and Washington streets, and the V&T Railroad depot beyond it. Town is very quiet and deserted here. To download this photo, choose a size below, then right-click and select "Save As". To embed this photo in a blog or web page, choose a size below, then copy and paste the HTML or wiki code from the box.